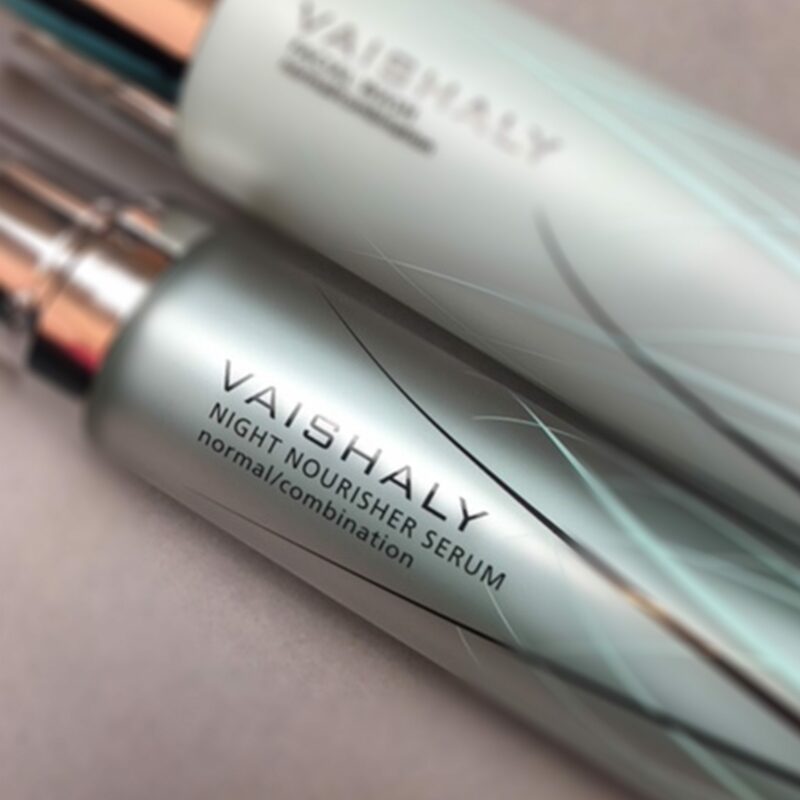 Nighttime Nourishment with Vaishaly’s Serum! Vaishaly is gorgeously luxe brand, founded by super facialist Vaishaly Patel. She has been in this business for many years, so knows a thing or two about skincare! She has her own treatment space in London and we’ve reviewed it here. Today, we’re reviewing one of her products from her range – the Night Nourisher Serum. But be quick, she’s launching a new collection in September so stocks of this are limited and it’s currently 50% off on her website… and it is certainly worth picking up if you can before it’s too late! The serum is packed with essential oils and powerful actives but again, slips onto your skin and sinks in really quickly like only a truly luxury serum can. You feel like you’re having a spa facial, using an elixir that will leave you absolutely glowing. The ingredients are soaked up into your skin and you sleep. Wonderful. It felt sticky at first, a bit like a runny glycerine, but eventually behaves more like a face oil. You don’t need anything else on your face all night and in the morning the skin feels softer. In fact, the effects of using this are best felt once you wash your face in the morning… and with continued use, this will really boost your skin’s texture. The serum will rebalance, smooth and regulate your skin texture. Use one pump in the evening. It all over the face, neck and around the eye area, with massage routine, until absorbed. Sometimes, it is worth spending the extra money. Vashaly’s Night Serum is 30ml but somehow seems more and as you only need a little, that should cover you for around 3 months. Why not splurge? You’re definitely worth it.